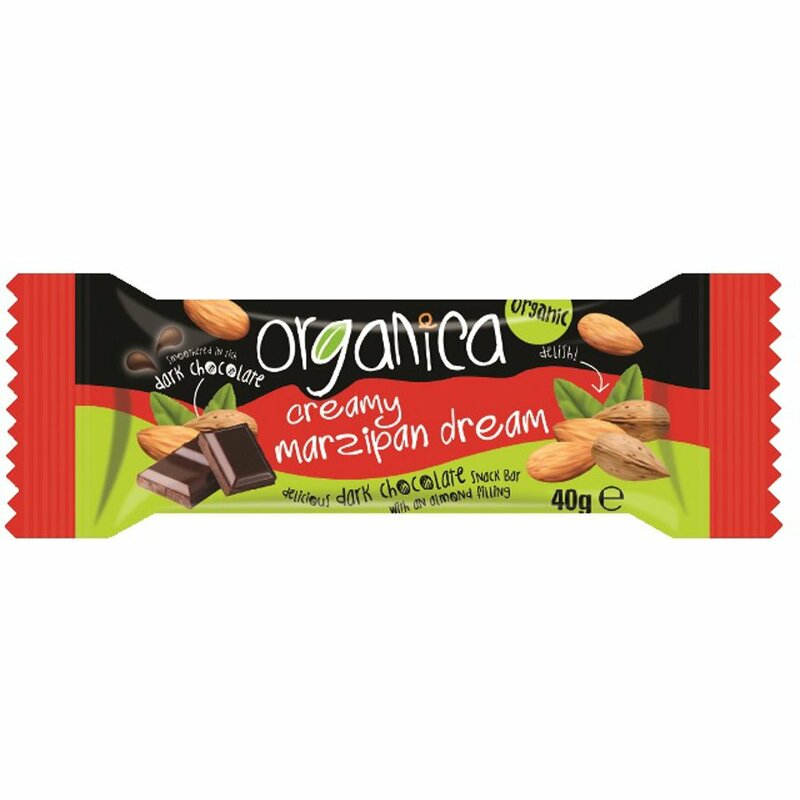 This tasty vegan Marzipan & Dark Chocolate Bar from Organica has a sweet almond filling and is smothered in delectable dark chocolate. This chocolate is made in a factory that handles nuts dairy lupin and soya products. Marzipan 20% (Almonds*, Raw Sugar Cane*, Invert Sugar*, Water, Ethanol*), Dark Chocolate* 20% (Cocoa Mass*, Raw Sugar Cane*, Cocoa Butter*, Vanilla*) Corn Syrup*, Corn Powder*, Tapioca Flour*, Palm Oil*. There are currently no questions to display about Organica Organic Marzipan Dark Chocolate Bar - 40g.